Home » Sewage Free Sea’s Are Finally Within Reach! Sewage Free Sea’s Are Finally Within Reach! The Environment Agency has opened a 6-week industry stakeholder consultation on how often water companies should be legally permitted to discharge raw, untreated human sewage effluent directly into the nation’s beaches, rivers and coastline. In response, Surfers Against Sewage is calling for public support for Sewage Free Seas, and aims to deliver thousands of signatures of public support to the Environment Agency and Members of Parliament to help finally deliver sewage free seas. 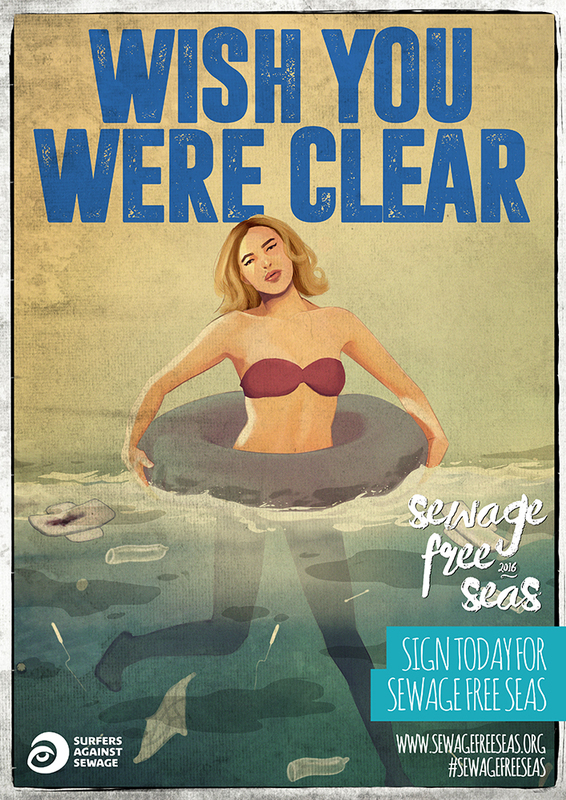 To find out more and add you signature to Support Sewage Free Seas today, click here. Surfers Against Sewage has been monitoring sewage pollution at hundreds of beaches and surf spots nationwide for years. There are 31,000 sewer overflows around the UK, designed to discharge a poisonous mixture of raw, human sewage and other pollutants from road drains and rooftops, directly into our rivers and seas. Most beaches have at least one sewer overflow that discharges this toxic soup, either directly onto the beach or into a waterway nearby. These sewer overflows are often hidden away from view at the beachfront to conceal their existence. The ten worst performing sewer overflows in the Safer Seas Service discharged a combined 250 times during the 2015 bathing season (May-Sept). Shockingly, there are many more sewer overflows along our coastline that boast similarly shamefully numbers of toxic discharges. This pollution could make you very sick and harms the marine environment Surfers Against Sewage believes should be better protected.